Be a part of the Illinois Computer Science community through our social networks on LinkedIn, Twitter, Facebook and Instagram. Tell us how to best connect with you and develop communications and engagement activities that interest you. We'd also like to know about your affinity with our student groups and get your thoughts about philanthropy. Take this brief Alumni Survey. Visit the News and Calendar pages to stay up-to-date on the latest announcements and upcoming events. Our email newsletter is sent out monthly, and the Impact Report is produced once per year. Please use our Alumni Information Update form to be sure you are on our distribution lists. The Illinois Computer Science Alumni Awards recognize alumni and faculty members who have made professional, technical, educational, or service contributions that brings distinction to themselves, the department, and the university. Be a part of this tradition: nominate someone you know worthy of this honor, and come back to campus and celebrate with each new class. The Awards dinner and ceremony is held each year in conjunction with Homecoming, making it an ideal time to visit campus. Our alumni actively support the department by presenting seminars, speaking to classes, attending regional events and student-sponsored activities, mentoring students, participating in job fairs, and sharing their financial resources to support these important initiatives. An Illinois Computer Science degree is a powerful credential and has positioned thousands of alumni for tremendous success. Not only does your financial support enable us to provide more scholarships, fellowships and outreach activities, but alumni giving also functions as a measure of the department’s strength and impacts our standings in the national rankings. Learn more about Giving or Give Now. Every year, the university, the college, and the department host a variety of regional events for alumni to meet and network. Upcoming events will be posted to the Calendar and our social media sites. The Department enjoys a strong partnership with many CS-affiliated student groups such as the Association for Computing Machinery (ACM) and Women in Computer Science (WCS). We collaborate throughout the year on student-alumni networking opportunities such as the annual ACM Reflections-Projections Conference and the annual WCS Fall Alumni and Student Dinner. We encourage our alumni to also connect their companies to Illinois Computer Science to establish recruiting relationships and to explore sponsored research opportunities. Learn more about becoming a Corporate Partner. You can leverage our world-class faculty and research, and your on-campus peers through our distance-learning programs. From a master’s degree to certificate programs and individual courses, busy professionals can enhance their education and advance their careers while continuing to meet their current career and family obligations. Learn more about our online and on-campus opportunities from the CS Graduate Programs page. You may also be interested in other Illinois Online offerings, or MOOC courses through the Illinois-Coursera partnership. This dedicated group coordinates all the communications, alumni relations, and fundraising efforts for the department. We also manage the corporate relations programs, special events, and outreach activities in collaboration with the academic offices and student groups. We are here to be of service to you, to keep you connected to the Illinois Computer Science network, and to be good stewards of your gifts of time, advice, expertise, and financial support. Please connect with the Advancement Office to let us know how you would like to get more involved with the Department. 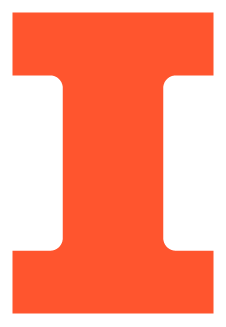 We invite you to stay connected with Illinois Computer Science - our faculty, staff and students - and with your fellow alumni.